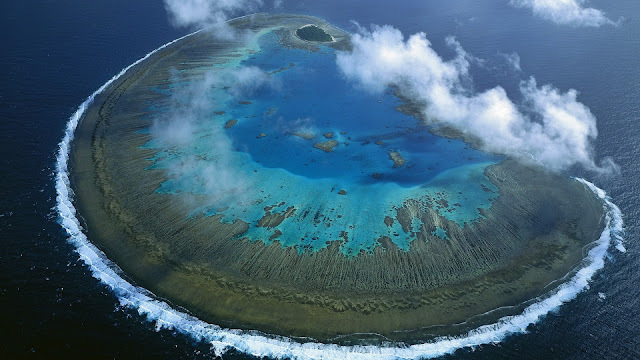 Lady Musgrave Island is a 14 hectares (35 acres) coral cay on Australia's Great Barrier Reef, with a 1,192 hectares (2,950 acres) surrounding reef. 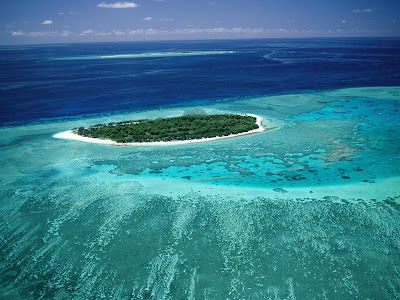 The island is the second island in the Great Barrier Reef chain of islands (with the first being Lady Elliot Island), and is most easily reached from the town of 1770, Queensland, located on approximately 5 hours north of Brisbane. It is named for the wife of Sir Anthony Musgrave, a colonial governor of Queensland. Lady Musgrave Island, and the immediate surrounds, is a national park and can be reached by excursion boat from the Town of 1770. It is also part of the Capricornia Cays Important Bird Area. 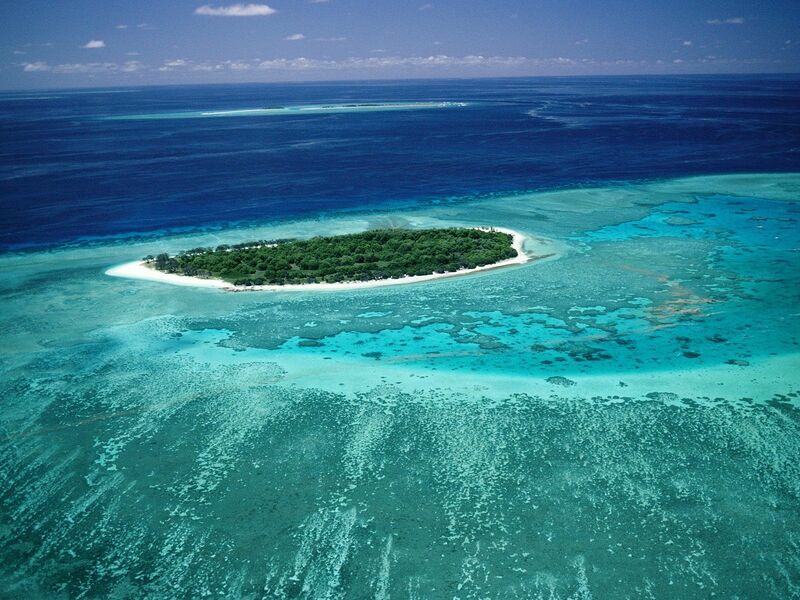 Lady Musgrave Island is the most intensively used of the camping islands within the Capricorn Bunker group, due to its protected anchorage within a semi-enclosed lagoon and a regular ferry service. More than 10,000 day-visitors were brought to the island by commercial tourism operators during 1997. In addition, 1,278 campers visited the island for 8,008 camper nights and there were an estimated 5840 visitors from recreational boats during that year. This island is the only shingle cay situated on the leeward reef flat. The island also has Beach rock is exposed along the north eastern and eastern beaches and an outcrop of lithified coral conglomerate, similar to that forming the core of the cay, occurs near the south eastern corner. A small pond of brackish water is located towards the southern end of the cay. The Island is located on the southern end of a large lagoon. From a boating prospective the great part about Lady Musgrave is you can enter the lagoon via a deep water channel. There is some conjecture as to if the channel into the lagoon is a naturally occurring phenomena, or was cut into the lagoon by Japanese fisherman, or as legend has it was widened by guano miners many years ago although it is recorded by 1938 and in 1966 surveys. The island has no fresh water supply, so visitors need to bring all fresh drinking water. A composting toilet is available on the island. 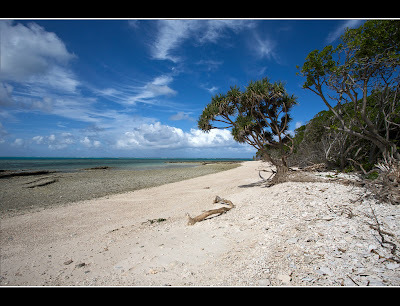 The area also has many visits by both passing vessels cruising the Queensland coast and day trippers in fast jet catamarans (typically Lady Musgrave Island). The area is also of significances as a fishery particularly for King Prawns.